Huge collection of old vintage paper textures that every designer must have. The list contains free old paper textures that you can use in your projects. Crumpled and wrinkled paper, watercolor paper, ripped and folded paper, vintage and grunge paper, dirty aged paper and many more textures can be find inside this list. 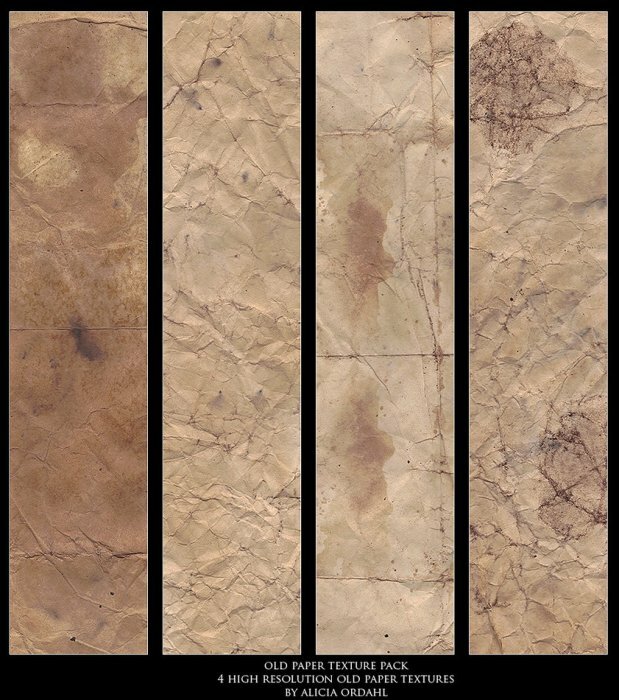 These dusty old paper textures are hand picked from Deviantart and Textures4Photoshop, so the quality is great and they are ready to be used in Photoshop. Want Even More Old Paper Textures? Check out this list of 30+ Old Paper Textures For Designers ready to download and use in your projects. Create sepia tone in Photoshop with this free Photoshop action. With sepia filter you can create old vintage photo effects really quick and easy! 4 comment(s) for "Old Vintage Paper Textures for Designers"